• Last month Joe Christensen and Phil Miller swapped Minneapolis Star Tribune beats, with Christensen moving to Gophers football and Miller taking over the Twins. And now the St. Paul Pioneer Press is changing their Twins coverage too, with John Shipley shifting to an unnamed beat and former "Gleeman and The Geek" guest Ben Goessling moving to the Vikings. It's a shame we never got to see Goessling cover the Twins full time, because he's great. • NBC Sports and Yahoo Sports are partnering up, which has the potential to be huge in the online sports content world and means I'm no longer allowed to search for things via Google. • David Brauer of MinnPost put together a very cool project and I'm probably not just saying that because I rank 16th. • Chris Ballard of Sports Illustrated wrote a lengthy, well-done profile of the NBA's leading stat-head, Rockets general manager Daryl Morey. • On a related note, stat-head/writer John Hollinger has been hired away from ESPN.com by the Memphis Grizzlies. • This actually seems sort of brilliant to me, but then again ... nevermind. 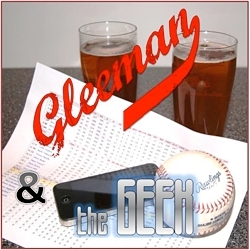 • Thanks to everyone who listened to this week's "Gleeman and The Geek" episode. We set a record for most downloads in one day and may set a record for most overall downloads. Despite being a huge stand-up comedy fan I hadn't seen much live, but last month I saw Buress, Amy Schumer, Dave Attell, Jim Norton, and Artie Lange. And now it's all I wanna do. 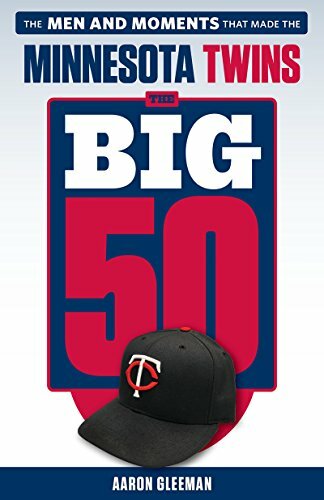 • Last month KFAN had the fourth-highest ratings of any sports radio station in the country. • Wednesday night I talked Twins and various other topics for two hours over at TwinsDaily.com. If you missed it, you can read the lengthy transcript. • It took me 19 days to read the extended, 1,152-page version of "The Stand" by Stephen King. I'm a sucker for anything post-apocalyptic and King has an amazing ability to bring that world to life while developing compelling characters across numerous storylines. Some of the supernatural stuff frustrated me because I was so into the people and places portrayed as relatively realistic, but "The Stand" definitely ranks as one of my all-time favorite books. • The time Louis C.K. met Luis Tiant. • Not surprisingly, Rasheed Wallace is responsible for my favorite moment of the NBA season. • It's been years since I left The Hardball Times, but the website I co-created back in 2004 is stronger than ever and they've partnered with Fan Graphs to publish this year's "The Hardball Times Baseball Annual." So many good writers, so much good analysis, so worth it. • As someone who recently lost 150 pounds and will probably always struggle to keep the weight off I love reading other stories like this in the Minneapolis Star Tribune. • It took 10 years, but I finally discovered the secret to generating blog traffic. • I've played 40 seasons of "Hardball Dynasty" on WhatIfSports without ever really thinking to write about the experience, but Carson Cistulli of Fan Graphs has been in my league for two weeks and he's already churning out some interesting articles about the game. • Speaking of Cistulli, congratulations to him for being voted into the Baseball Writers Association of America. And congratulations to the authors of his inexplicably immense Wikipedia page for finally having some decent material. • "Aaron" ranked just 65th on the list of most popular male baby names for 2012 and some of the top-ranked names make me preemptively sad about our future as a nation. • My fellow longtime Howard Stern fans will be interested to discover what Dominic Barbara is up to these days. A few weeks ago we also shot a "Cribs"-style tour of my house that I'd avoided linking. • Just imagine Ron Gardenhire's reaction to this news. • Torii Hunter could use a hug. • Plan your work, work your plan. • After seeing this I feel like a piece of meat. • I sent this link to my mom and she thanked me for it. • Great moments in winter meetings baseball reporting. • More great moments in winter meetings baseball reporting. • Two weeks ago we recorded "Gleeman and The Geek" at New Bohemia Wurst and Bier Haus in downtown Minneapolis. I liked it a lot--great beer selection, good food, nice place--and the manager turned out to be a podcast listener, so check it out next time you're downtown. • "Stop Podcasting Yourself" is always great, but their recent episode with guest Katie-Ellen Humphries was especially fantastic and a lot of what they talked about hit close to home. • One of the few movies I saw in a theater this year, "The Queen of Versailles," is available on Netflix instant. Despite not being about the Twins' former MVP it's really, really good. • Two-time "Gleeman and The Geek" guest and one half of the podcast's "official couple" Kate Agnew got some nice pub for her new gig with Girls In Tech Minneapolis-St. Paul. • New blog to check out: A Bit Of Randomness by AG.com reader Casey Knollmaier. • Jerry Rodes is the band behind one of the two "Gleeman and The Geek" theme songs that we use each week and just released a new album that's available on iTunes. They're nice guys, good musicians, and podcast fans, so I'd love it if everyone checked the album out.